After those fix-ups, and a minor re-structure of a sentence, I think Gist is all good to go! 2/2 approved! I'll add it onto the approved topic. Innael Bainte is, at its core, death magic, and is comprised of two main branches. Umbraturgy is the first stage of a Necromancer’s power and training, and is what is most often associated with users of death magic, as it is the most combat focused of the two brances. Umbraturgy is the manipulation of shadows for transportation, combat, and stealth. The second branch is referred to as Innael Bainte, some magical researchers simply refer to it as ‘True Necromancy’. This is the ability for necromancers to interact with the dead and death magic in a myriad of ways, from communing with spirits and ghosts, creating zombies and other far more powerful undead, to the feared ‘death bubble’, which allows particularly strong Necromancers to project a sphere of untamed death magic from their bodies, ripping souls from their mortal shackles and directly fueling the Necromancer’s power. Also referred to as Kage Nage, Tenevoye Oruzhiye, or simply shadow manipulation, Umbraturgy is the ability for a necromancer to manipulate shadows by charging them with the death energy from their object. The power of this aspect is relative only to the wielder’s imagination. While a younger and less experienced necromancer may not be able to conjure things on the same scale as a true master, the applications are nearly limitless, from using shadows to open doors, fetch objects, to creating blades and other weapons. Once a necromancer has taken control of a shadow it is no longer an intangible object, it is a conduit through which the necromancer is channeling their power, it will become pitch dark and remarkably cold. Some necromancers will choose to personalize the way their shadows look, making them ripple or have varying degrees of reflectivity and opacity, some have even been able to create a marbled effect using all of the techniques above, or make their shadows nearly invisible. The power of Umbraturgy is tied intrinsically to true Necromancy and to the amount of natural shadows and death energy present in any given area will affect the power of a user, though necromancers can draw on their object for power exclusively in unfavorable conditions, it will never be as powerful as when surrounded by shadows or death energy. Umbraturgy requires very little power or experience to wield with devastating effects. Innael Bainte is different from other disciplines as it has things that it distinctly wants, and what it wants is for things to die. Even young and comparatively inexperienced Necromancers can attack on scales that Elementals or Navimancers of comparable ages couldn’t dream of, this is why Necromancy has been described as “easy power” by some of the more intolerant mages of the world. The more a Necromancer uses their object for combat and the more their shadows taste blood, the more their magic will strengthen them, and the more insistent it will be on bloodshed. Umbraturgy has nearly unlimited uses in combat, from creating weapons out of shadows, using it to enhance hand to hand strikes, imbuing a weapon with shadows, or using it to enhance mobility and allow for quite impressive misdirection. A powerful Umbraturge is limited only by their imagination and the amount of natural shadows they have to draw on. A powerful Umbraturge can create defensive structures as well, momentary shields to protect large areas, hardened shadows to act as armor, if it can be envisioned and the Umbraturge is powerful enough, it can be done. One of the final skills taught to an Umbraturge is the ability to shadow walk and shadow step. Shadow walking is notoriously difficult, and involves using the shadows to move from point to point, generally only within a small area. This ability is slower than teleportation, requiring the necromancer to draw shadows from the surrounding area to cloak their body before being whisked away. Shadow Stepping is a more advanced and incredibly difficult ability. This allows a Necromancer to literally become one with a shadow, and as long as it is connected or can be connected to another shadow, step out somewhere else. Shadow stepping has major drawbacks, any sudden flash of light that takes away the shadow will cause the necromancer to be immediately wrenched back into the material realm, generally with very severe injuries as their body is forcibly stitched back together without being managed by the Necromancer. Necromancers can also use their shadows as transport in several other ways, creating waves of darkness to ride on, using the shadows to jump incredible distances, even rising up through the air and actually flying upon a column of darkness, though this application requires immense amounts of natural darkness and an even greater amount of magic to be used for even the briefest of periods. Innael Bainte is the second branch of death magic, and is the truest form of the discipline. This branch is focused entirely on the dead and the soul. For masters of the discipline Innael Bainte is a godlike power, the ability to raise the dead, commune with spirits, and even rip the soul directly from the body. This aspect of Necromancy is what causes them to be so highly distrusted by the wider mage community, as the thought of being resurrected or toyed with long past your death is not something many mages fancy. The first Ancients to toy with Necromancy were focused above all on the ability to create and expendable and unstoppable army, almost any user of Innael Bainte can create zombies with fairly minimal effort. These Undead are mindless, soulless entities resurrected by death magic and enslaved to the Necromancer that resurrected them. Left to their own devices, Zombies will simply kill and eat anything they come across, driven by a ceaseless hunger from deep within. Those who chose to further their power are capable of creating Wights and Liches. Wights are simply more powerful zombies. They retain more of their mental faculties and are physically far above a normal person, closer to the level of a vampire than a normal mortal or mage. Wights do not suffer from the same degree of hunger that zombies do. Liches are the true pinnacle of what a Necromancer is capable of when it comes to resurrecting a human being. Liches wield a shard of the original Necromancer’s power, and act as a command and control node for any undead in the vicinity, bowing to the whims of the lich just as they would the necromancer that resurrected them. The death of a Lich is catastrophic to the surrounding undead and living beings within several meters. If a lich is killed while controlling other undead the sudden breakage of the link will cause them to go completely feral, and will create an explosion similar to the destruction of a Necromantic object. Users of Innael Bainte are also capable of resurrecting non-human living entities, often cats or other small animals are the first step of testing a necromancer’s ability, as their souls are particularly weak. It is incredibly rare to resurrect a magical creature and enslave it to a Necromancer’s will, while it has and can be done on lesser monsters and very few of the greater monsters, nothing on the scale of a Dragon or other monstrously powerful entity has ever been bound to a mortal Necromancer’s will. The Ancients were known to be able to enslave Hydras and other truly godlike entities, going so far as to create armies of them at times, but were any modern Necromancer to attempt such a feat they would be faced by an incredibly angry being wielding far more power than they. Necromancers are also entirely incapable of corrupting Unicorns and other particularly pure magical entities, as their magic is anathema to that of Innael Bainte. Additionally, Necromancy has never been used, and never can be used, to resurrect a person or creature with their magic as it was before they died. The process of resurrection requires an incredible amount of death magic, even for the most basic of Zombies, and will purge any magic that was once present in the person or creature being resurrected and replace it with Necromantic energy. As such it is impossible for a necromancer to create an Undead that wields any magic besides Necromancy. The aspect of Innael Bainte that involves the soul and non-corporeal undead is a very common pairing to this aspect, as it can allow a Necromancer to place the non-corporeal spirit into a physical body, allowing them to recount their stories to historians, or simply see their loved ones after a long absence without the aid of a specialized sensitive. Necromancers are very in tune with their surroundings, and possess abilities very similar to psychometry in lots of ways, able to see and feel battles and scenes of death wherever they go.. Necromancers are also capable of telling when someone is close to death with unerring accuracy, as well as when an individual who is already dead passed away. An extension of this ability is being able to commune with the spirits, ghosts, wraiths, and poltergeists on a level only surpassed by highly specialized Sensitives. Necromancers who chose to go further down this path discover that they can bind these spirits to their will, wielding their power and binding them to objects, generally books, that will set them free from their current home after a certain number of summonings. These individuals are referred to as Death Seers, and while incredibly rare, their power is undeniable. This ability to commune with spirits is often developed in tandem with the ability to resurrect the dead, and is part of why many famed mage historians have been Necromancers. Some Necromancers gain the ability to resurrect a body with its spirit still intact, able to hold conversations with people it once knew and recount events that it experienced when it still yet lived. The Death Bubble is the most advanced, deadliest, and most dangerous technique known to Necromancy. It is when a Necromancer projects an invisible wave of raw death magic in every direction, the ability will rip the soul from any living thing it touches, and using that soul to fuel the Necromancer’s own power. This technique is incredibly dangerous, as channeling Innael Bainte through your body for any length of time runs the risk of immediate and permanent insanity, possibly followed by death. Many Necromancers have attempted this feat only to have their soul instantly rent asunder by the ferocious power of their magic. Among one-hundred Necromancers only five will ever progress far enough in their studies and power to wield the death bubble, and of those there is a high likelihood that those Necromancers will never be able to efficiently kill mages with the ability. The number of times in the history of humans practicing magic that the death bubble has been created by a Necromancer under the age of 800 can be counted on one hand, and all of them were potential death bringer candidates within the order. Additionally, upon first learning the technique the death bubble is very ineffective against other mages, as their magic will actively fight the influence of Innael Bainte into their body. Particularly mages that have especially powerful souls or a strong connection to the source of magic such as descendants of the Ancients. The death bubble has been known to be nigh-useless against magic that involves the splitting or other direct interactions with the soul, as in the case with Sundering, Evoking, or Neuromancy. This is due to the fact that it is unable to simply rip the soul from the body, and must instead contend with several small pieces of a soul. This ability is utterly useless on mages that are significantly more powerful than the caster, Ascendants, Ancients, Dragons, and other beings with incredibly powerful souls or magic. Necromancy is a wild and untamable kind of magic, it’s power and temper too great to be contained within a person’s body as can be done with almost all other magical disciplines. Unlike with other styles of magic like Mindwalking where a young mage may take an animus to reduce the effects that such an active discipline will have on their mind, the Necromancer must choose an object through which to channel their power and will never progress to a point where they can go without it. Attempting to channel raw Necromancy through one’s body will result in immediate insanity, followed more than likely by death as their soul is torn asunder by the wild and ever-hungry spirit of Innael Bainte. Necromancy objects are incredibly powerful artifacts only capable of being created in the rare Shadow Forges found within the Necromancer Temples. These objects are chosen by their wielders and created within the forge after the necromancer reaches their Surge. Most temples will have younger necromancers train with a ring or other small object before they chose their own, however the use of another Necromancer’s object will never be as powerful as using your own. As stated above Necromancy objects are incredibly powerful, containing magic that is beyond what human, Fae, Vampire, or Werewolf kind have power to contain within their body. These objects are intrinsically and irrevocably linked to their owner, and have a very slight degree of sentience. While not capable of moving or necessarily thinking independently, the object knows when it is being wielded by its owner and when it is not, and will lash out at anyone that attempts to use it without permission. The object also carries a truly immense quantity of death magic, and as such has a distinct “spirit” unique to its owner. While not as obvious as the object projecting a voice into the owner’s head or outright pulling the owner in a direction against their will, the object does react to its surroundings and the feelings of its owner. The object will get colder around death, and will react in various ways to forms of magic that aren’t necromancy. Psionics tend to cause objects to create a light electric shock sensation, while Biosorcery and energetics will cause fluctuations in temperature. The presence of other necromancy objects will cause them to drop sharply in temperature, even more so than being around a large amount of death. The destruction of a necromancy object is a cataclysmic event within a small radius, generally between 2 and 4 meters. The result of destroying a necromancy object is a massive explosion of both the shadows and pure death magic contained within the object, and is most certainly lethal for anyone within the radius, barring the most obnoxiously durable of individuals. When a Necromancer chooses an object it matters very little what they choose. Some temples prefer you pick an object that represents you in some way, for example an artist may chose a paintbrush through which they channel their power. Other temples don’t particularly care, only requesting that the user chose something that will not hinder them when it reacts to its surroundings. Necromancers are heavily distrusted by the magical community at large, as Death Magic is at its core an evil art form, relying on death, decay, and shadows to fuel the power of its wielder. Necromancers tend to be melancholic and isolationist, rarely venturing outside their temples for any purpose other than to avert world ending catastrophes that could stop them from ushering in their utopia, The Passage. Even then the Necromancers have been known to be famously neutral, during the War only a few temples are known to have actively participated, and of those that participated none are known to have acted without first being provoked. Innael Bainte behaves differently to any other kind of magic, as it does not necessarily follow the traditional “tree” that most magic does. While most definitely an Adept discipline, pieces of it fall into the Psionic, Energetic, and Biosorcery branches. One specialized in Umbraturgy would most definitely fall into the Energetics category, as they are imbuing shadows with energy from their object and manipulating it, while a Death Seer is primarily a Psionic. However, an individual who focuses primarily on the creation and manipulation of the undead, or as who is considered a “Voodoo” practitioner could much more accurately be considered a Biosorcerer more than either of the other categories. This occurs because Innael Bainte is among the oldest magics of all, having been practiced by the Ancients themselves, and is a far more active kind of magic than others. Innael Bainte is more a force of nature than a traditional magic discipline as even through an object Innael Bainte effects its wielders. It draws power from death, and will actively seek to create more when possible. Many young Necromancers will be engaged in a fight and not even realize the murderous intent with which they strike, many requiring years if not decades to fully get to grips with the ferocious spirit that comes from using death magic. Often this is the reason that Necromancers will seem to be such dour and melancholic individuals, as they are constantly having to keep their own magic in check. The Immersion Reaction of a Necromancer varies from person to person, the most common is simply the eyes of a Necromancer turning black, though everything from shadow wings manifesting over a person’s back to their body seeming to be covered in a layer of rippling shadows have all been observed. 1. First comment will actually be that I'm glad we aren't using a -mancy suffix for death magic. However; could I get an etymology for the name? Given you have thought about where such practises would have originated it would be nice to know exactly how it got this name instead of the common Necromancy. 2. How is Kage Nage and Tenevoye Oruzhiye pronounced? 3. [vis a vis Necromancers personalising shadows] How is this done? Would you have to be a master? And what reason would most necromancers have for an aesthetic change in their shadows? I'm also assuming there is no practical use here. 4. [-death energy] may be worth mentioning the temples here, then. and why necromancers tend to chill around areas such as graveyards. does a mages death give more power than a normal mortal? 5. [vis a vis shadows and bloodshed] given most necromancers in the books and temples are not really combatant, I strongly feel this is not the case. it is merely experience, location (how many dead are there/what the death energy is like there) and practise. 6. [shadow transport] the latter application usually requires the user be dead, as stated by Nye. It is simply too OP for any normal necromancer - even your old and overpowered characters - to have such extensive use of their ability with flight. 7. ["godlike"] Is this the best descriptor? No normal mage should have their power, especially in a roleplay setting, likened to that of the gods. 9. [zombies] Almost all the zombies in the books were not actually mindless upon creation -- however, the Hollow Men were, and I'm pretty sure that they were the result of necromancy, so it may be putting a bit in about them as it feels you're deviating a little far from SP at this point. 10. [lichs, jesus christ... lichs...] What is the power and application needed for creating something so powerful? 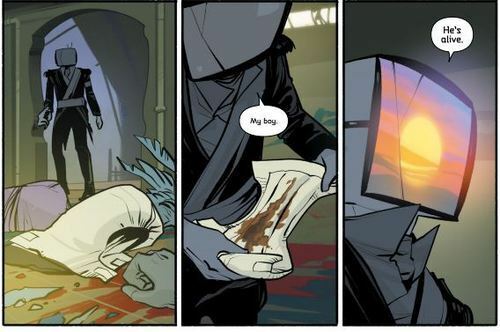 Especially considering as I stated before -- in the books, Nye states that necromancy with any dead being is incredibly powerful and unstable so the magic a lich would have is... oof. 11. [vis-a-vis resurrection of the soul in body with both still intact] For how long can they do this? Will there be a time it can no longer remain, for all intents and purposes, "living". Can they do anything other than talk and amble about a bit? 12. [the death bubble] Just insanity? That's the only downside? This is simply too OP as it is, then. Many Necromancers can be walking bombs without anything other than insanity and "possible" death (which many RP'ers will likely ignore knowing that they can create such a thing), this either needs nerfing or more reason not to do it. 13. ["created in the forge just after a user's Surge"] Incorrect, otherwise young mages couldn't start to learn this discipline -- all the Necromancers in the books got their objects before their Surge. I mean Val never reached her Surge in the books (in the later ones she was still undecided as to which discipline to use) and she had her object forged so that she could learn Necromancy. It was never thought of as a discipline that you could use without an object -- or someone else's object willingly being given to you (which again, it was said any mage could do). 14. [IM] Is this personalised to the user? It's solid, I think that as it is it is a little bit OP and needs some tweaking. On top of some lore checks; it deviates from the SP world just a little too much for me to be comfortable with it as Necromancy is one of the established disciplines so we already know some of the rules behind it. I was asked by Docky to review this before anyone slides in with their butthurt. Waiting one these alterations, Gid. Then I'll be happy to approve for you. Keep my posted!